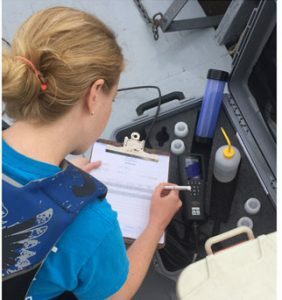 Historically, it’s been difficult to compare water quality conditions in the Sound’s many inlets because the monitoring work is conducted by different groups with different monitoring approaches. 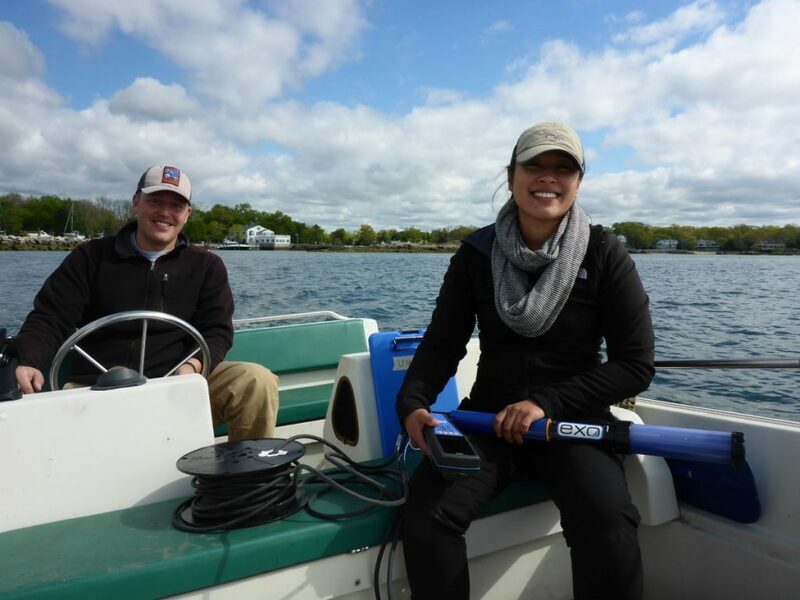 The Unified Water Study: Long Island Sound Embayment Research (UWS) is a new water quality monitoring protocol developed so groups around Long Island Sound can collect comparable data on the environmental health of our bays and harbors. 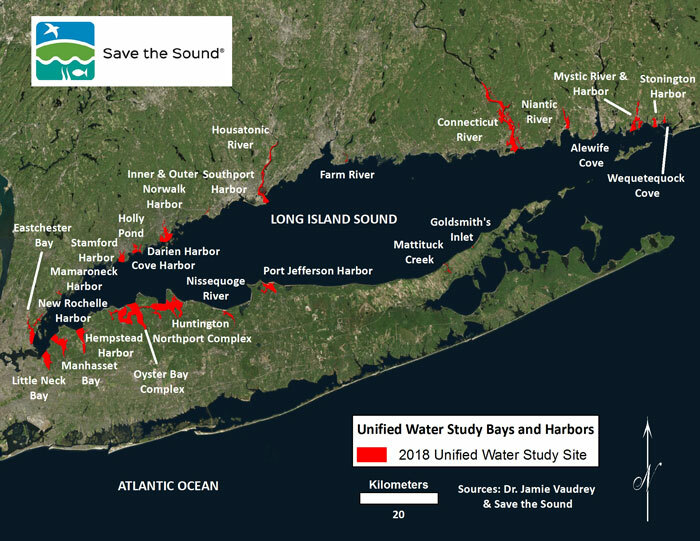 Launched by Save the Sound in 2017, this groundbreaking water testing program will dramatically increase available data on the health of Long Island Sound. The findings will further our understanding of the Sound and inform and support our actions to preserve and protect it. Local monitoring groups receive support from Save the Sound, the study’s Science Advisors, and its funders. They are provided with monitoring equipment, training, Standard Operating Procedures, a custom study design for their monitoring locations, a template Quality Assurance Project Plan (QAPP), and other resources they need to successfully collect high quality monitoring data. If you are interested in participating in this important study, please contact the Unified Water Study Coordinator, Peter Linderoth, at plinderoth@savethesound.org. Scroll to the bottom for a complete list of participants. The Unified Water Study measures the relative environmental health of the bays and harbors of Long Island Sound and human impact on them. It has two tiers: baseline data, and an optional set of data to be collected in addition to Tier 1. 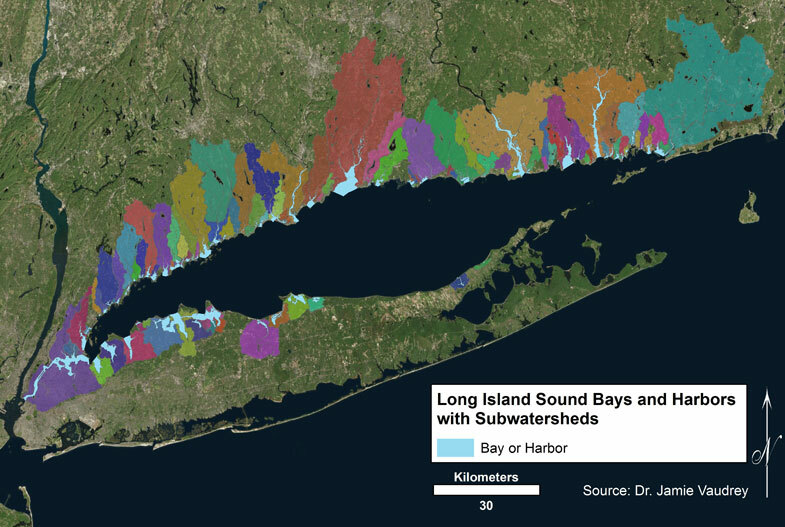 The Long Island Sound Funders Collaborative initiated this Sound-wide study after creating the first Long Island Sound Report Card in 2015 and finding a scarcity of comparable data for the Sound’s bays and harbors. Save the Sound was selected to design and coordinate the study, working in collaboration with science advisors, other monitoring groups, and regulatory agencies (EPA, Connecticut Department of Energy and Environmental Protection, New York State Department of Environmental Conservation, New York City Department of Environmental Protection, and New England Interstate Water Pollution Control Commission – Interstate Environmental Commission). The Science Advisors to the Unified Water Study are Jamie Vaudrey, PhD, and Jason Krumholz, PhD. The Study Coordinator is Peter Linderoth, plinderoth@savethesound.org. Additional guidance is provided by Long Island Sound Study (LISS) staff as well as members of the Long Island Sound Study Science Technical Advisory Committee and Citizen Advisory Committee. For more information, please contact the Unified Water Study Coodinator, Peter Linderoth, at plinderoth@savethesound.org.